It's a bundle perfect for Easter or to celebrate Spring...or for no particular reason other than that wool is beautiful!! 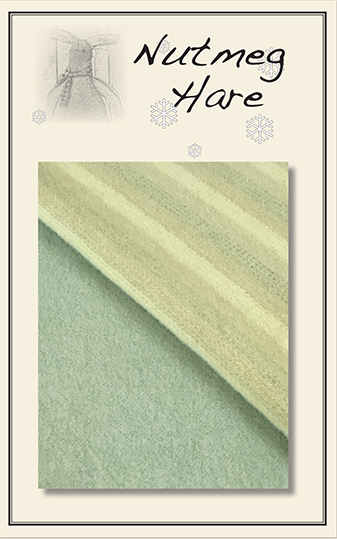 A solid toned soft green wool is paired with a sweet yellow with stripes of a light gold and pale green threads inter woven We shall call this bundle "Lemon and Lime" sorbet...YUMMY! As always, soaked in a wonderfully scented Eucalan bath and dried to fluffy softness, this wool bundle includes two coordinating pieces in choice of either long sixteenth (approx. 6" x 17"ea.) or fat eight (approx. 12" x 17" ea.) sizes. 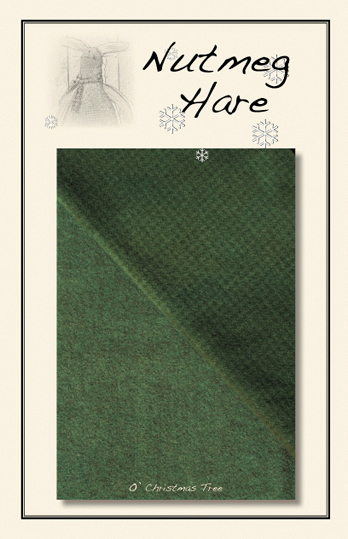 This deep and glorious shade of green woolen speaks to me and I listen. It says " I am your evergreen tree"..."I am your rolling hill".."I am your leaf and vine"..."I am your winter woolen"...and "I am so much more". Hand dyed over houndstooth and herringbone textures it is simply beautiful. 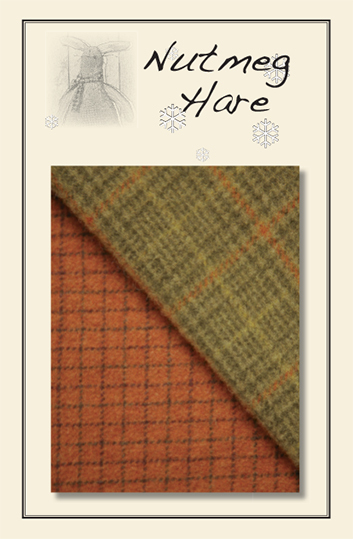 Wool bundle includes two coordinating pieces in choice of either fat sixteenth (approx. 6" x 17"ea.) or fat eight (approx. 12" x 17" ea.) sizes. There's something I really LOVE about this wool bundle. It just makes me smile and offers loads of inspiration. 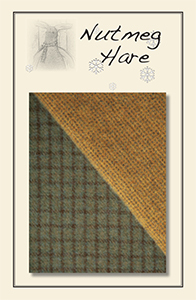 Perhaps it's the perfect golden seeded wool that I envision for a sunflower, or the gorgeous shade of green mini windowpane wool with brown and gold striping ... , No matter what the reason, Nutmeg Hare love this bundle and wants to share it with ALL her friends! As always, soaked in a wonderfully scented Eucalan bath and dried to fluffy softness, this wool bundle includes two coordinating pieces in choice of either long sixteenth (approx. 6" x 17"ea.) or fat eight (approx. 12" x 17" ea.) 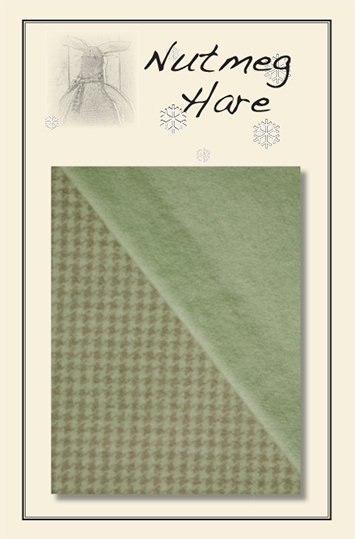 sizes..
Mint is indeed a lovely color...and Nutmeg Hare has hand over dyed a bundle of "lovely" just for you. 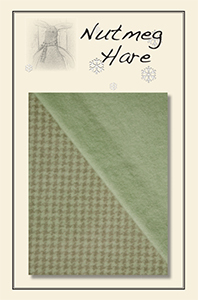 A solid toned mint green wool is paired with a soft minty houndstooth piece for for this beautiful bundle we shall call "Mints on the Charm String". 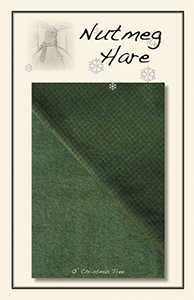 As always, soaked in a wonderfully scented Eucalan bath and dried to fluffy softness, this wool bundle includes two coordinating pieces in choice of either long sixteenth (approx. 6" x 17"ea.) or fat eight (approx. 12" x 17" ea.) sizes. Oh my...the beauty of this wool... A gorgeous spring plaid and a perfectly lovely houndstooth spring green make the perfect bundle for us all... we....the wool "queens". As always, soaked in a wonderfully scented Eucalan bath and dried to fluffy softness, this wool bundle includes two coordinating pieces in choice of either long sixteenth (approx. 6" x 17"ea.) or fat eight (approx. 12" x 17" ea.) sizes.